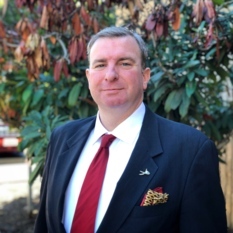 Pasadena, Calif. (November 19, 2018) — The Planetary Society, the world’s largest independent, non-profit space interest organization, announced the appointment of Brendan Curry as Chief of Washington Operations. Mr. Curry will bring nearly twenty years of space policy experience to the new role. Prior to joining The Planetary Society, Mr. Curry served as Vice President of Washington Operations at the Space Foundation. In this high profile position, he interfaced with industry executives, officials in the White House, NASA, the Department of Defense, the National Reconnaissance Office, the State Department, Commerce Department and others officials in the Executive Branch departments. He continues to work with Congress as well as international space officials from Germany, the United Kingdom, France, Japan, Russia, and China. Mr. Curry routinely speaks in public forums and with news media outlets. Casey Dreier, previously the Director of Space Policy for The Planetary Society, will move into the newly-created role of Chief Advocate and Senior Space Policy Adviser for the organization. Born and raised in Pennsylvania, Brendan has been a life-long space enthusiast. He holds a law degree from Penn State and a bachelor’s degree from the University of Scranton.